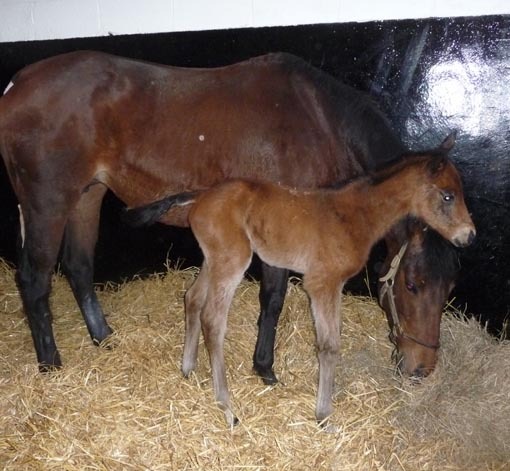 Sogno Verde with her second foal, a colt by Acclamation, pictured at 6 hours. The waiting game has finally paid off! 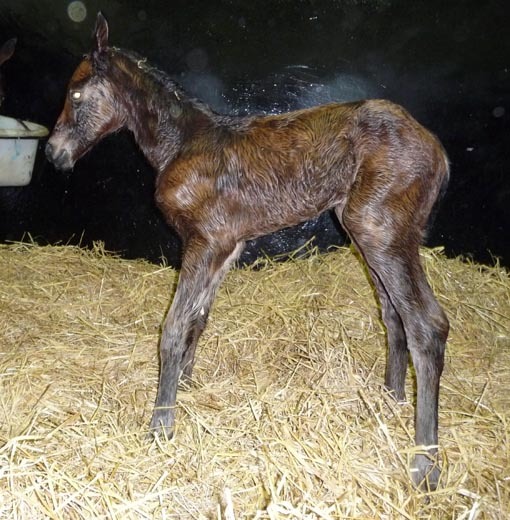 We have been waiting for a number of weeks for our first home-owned mare to foal. She has taken her time and is responsible for a large portion of sleep deficit, but she has given us a good, correct colt foal. Being by the popular young sire Acclamation, he should have plenty of appeal at the Sales later in life. For now we are thrilled that he is strong, healthy and hungry. It is always such a bonus when things go the right way, and should never be taken for granted. This is a good beginning, let us hope the season continues in this manner. 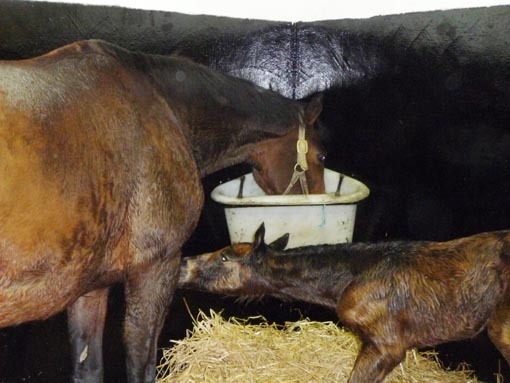 The foal is quick to get up (45 minutes)- hunger is a great motivator! Three of the five barren mares have been covered and are coming up for their first pregnancy scan next week. 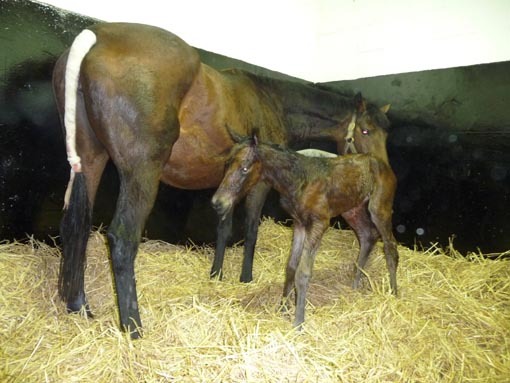 Midnight Angel and Cover Look belonging to Newsells Park Stud, went to Dalakhani and it would be great to have them pregnant and off the list. Third Dimension visited Lawman and Miss Shaan (below left)is cycling and will be covered by Oratorio on her next cycle. 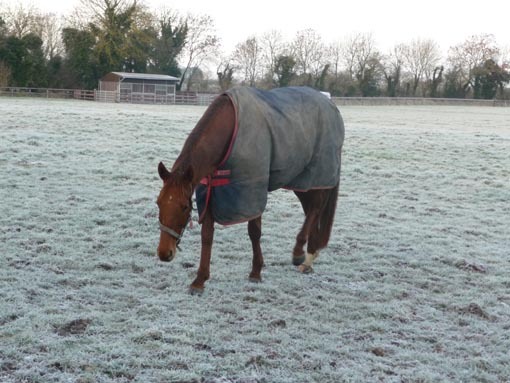 She is a difficult mare and needs to be in perfect condition to get pregnant. Romandie (middle) is taking her time and Princess Susie (below right) has moved into the foaling boxes and is overdue by a week. 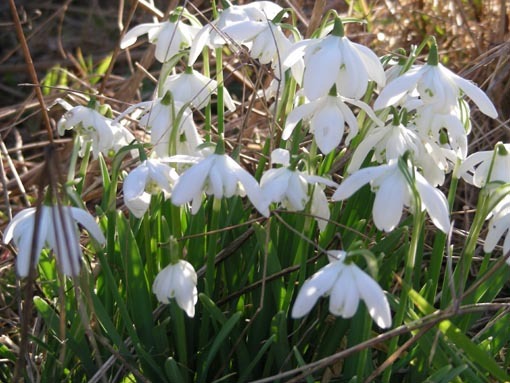 Don't be fooled by the sudden appearance of snowdrops, crocuses and daffodils, there is snow forcast for this afternoon!